In excess of AED 1 million of high performance acoustic systems and panels from drywall specialist Gyproc Middle East and sister company, Ecophon, are being used to meet demanding acoustic standards at the world’s first Bollywood Theme Park – part of the initial phase of the ground breaking Dubai Parks and Resorts development, due to open in October this year. Installed by drywall Subcontractor Plafond, on behalf of Al Nasr Contracting Company, Main contractor for the 3 million square foot park, the specialist acoustic systems are being used to prevent noise from the crowds of queuing visitors penetrating into the Theatre Area, as well as for noise control in other sensitive areas of the park. To meet the client’s demanding Rw 69dB acoustic and 60 minutes fire resistance requirement for these areas, Gyproc’s technical specialists drew up a specification based on GypWall AUDIO, a lightweight load-bearing twin frame system originally developed specifically to meet the demanding acoustic performance standards needed to separate adjacent viewing theatres in modern multi-screen cinemas. Elsewhere throughout the new park, the specification includes a full range of Gyproc systems, from Gyproc MF suspended ceilings to Gyproc ShaftWall and GypWall QUIET acoustic separating wall system. In heavy traffic areas and other areas where noise control is key, enhanced acoustic performance is achieved using Ecophon Akusto Wall C – high density glass wool panels faced with impact resistant fabric, that are wall mounted to provide much increased sound absorption. 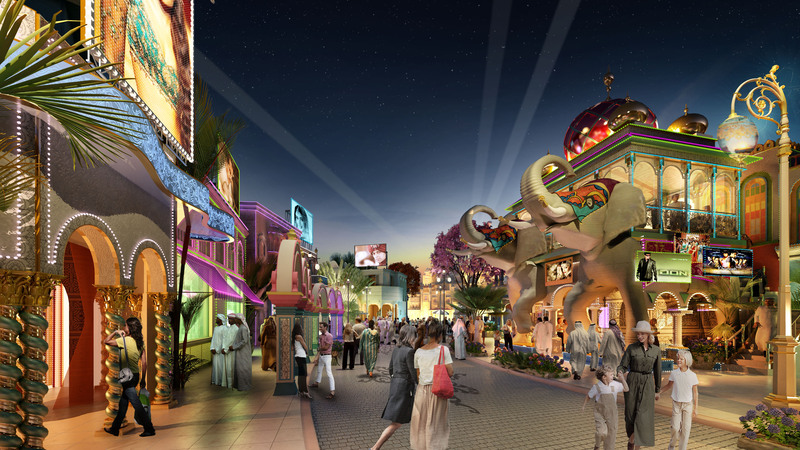 When completed, the new Bollywood Theme Park will recreate the unparalleled glamour and extravagance of Bollywood with 16 major rides and attractions located within five movie-themed areas – Mumbai Chowk, Hall of Heroes, Regal Plaza, Rustic Ravine and Bollywood Film Studios. It is expected to attract ardent followers of cult Hindi films from across the Emirates, Asia and beyond.